Dr. Dholakia is a psychopharmacological specialist who takes a “less is more” approach to medication, and carefully evaluates risks, benefits, and safety of medications. If together we decide that a psychopharmacology solution is the best course of treatment for you, I will provide careful monitoring of your medications. The field of medicine is constantly evolving. By embracing change and innovation, I will make sure your treatment is evidence-based and in alignment with recent advances in the field. Patients suffering from a wide range of mental health conditions, including anxiety, depression, ADHD, OCD, Autism, hypomania, bipolar disorder, and other mood disorders, compulsive disorders, insomnia, hypersomnia, post-traumatic stress disorder, neurological disorders, addiction, and many other illnesses, have achieved balanced, productive, peaceful lives through proper psychiatric treatment. No mental health affliction is too mild to ignore. Often, patients are surprised to find they do not have to live their entire lives in a state of anxiety, sadness, or stress. Body, mind, and emotions are profoundly interconnected—mental health affects physical health, relationships, career, and financial stability. Therefore, mental wellness leads to increased vitality and improvement in every area of life. 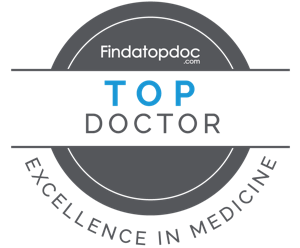 While I treat a wide range of psychiatric conditions (listed under Specialties), if, after our initial consult, we determine that I am not the ideal fit for you, I will help you find a doctor who is better suited to your needs. My approach to assessing and treating adults is comprehensive, compassionate, and individualized. I take the time to get to know you, to determine what is working in your life as well as what you’d like to change. I will review your medical and personal histories, including previous, if any, psychiatric treatment, major life events, past and current medications, and your developmental and family background. I collaborate with your other health care providers, including primary care physician, psychotherapist, and any additional specialists, to ensure I have a complete picture and all information necessary to help you achieve your mental health goals. It took me years to find a doctor who understood me. Before seeing Dr. D., I had been unable to leave my house. I couldn’t deal with everyday life. My life has truly turned around under Dr. D.’s care. Dr. Dholakia is the greatest psychiatrist I have ever seen in my life. He listened to every word that I said and paid very close attention to my side affects from the medications I was on.